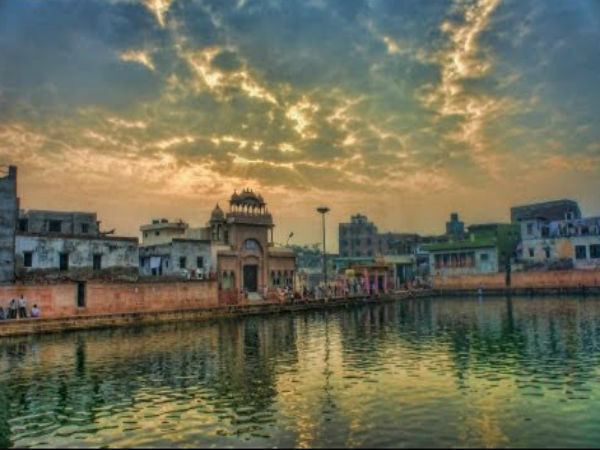 Mathura is the ancient city which is not only considered as the birthplace of Lord Krishna but is also well known for its various temples, forts, lakes and much more. The city is one of the oldest in the country which has been mentioned in the epic of Ramayana. The place had human settlements since the 6th century BC and had been ruled by various dynasties, both historical and mythological kingdoms, keeping its rich culture and tradition. Mathura is home to a large number of attractions which grab the attention of visitors. Have a look at some of the best places to visit in this holy town and head to them. Also known as Kesava Deo Temple, the temple is said to be built by Krishna's grandson Vajra who also built the Dwarkadhish Temple at Dwarka. As per Hindu mythology, Mathura is said to be the birthplace of Krishna, according to locals the temple is said to be more than 5000 years old. However, the structure was demolished in the year 1017 AD and was rebuilt by Bir Singh Bundela, an Orchha king under the Mughal empire. It was later demolished by Aurangzeb to be rebuilt on 1965 after a long political dispute that still is ongoing. Although the shrine that we see today is the fourth one, it still keeps its historical centre unchanged, where one can still see the ancient prison, which is said to be the birthplace of Krishna. Dwarkadhish Mandir is one of the historic and largest temples in Mathura. The current structure was built by Seth Gokul Das Parikh who was the treasurer of the then Gwalior state in the year 1814. Hosted on a large premises, the main building showcases a beautiful entrance carved out in the Rajasthani style of architecture with steep steps which take you to the courtyard, the central courtyard is lined up with three rows of gorgeous carved pillars which support the roof along with a beautiful painted surface. Also known as the Kans Qila, the fort gets name from Krishna's maternal uncle Kamsa. The fort was built by Raja Mansingh I of Jaipur who was one of the Navratnas in the court of the Mughal emperor Akbar. The structure showcases a unique mixture of Hindu and Mughal styles of architecture and is located on the banks of the Yamuna river. The Kusum Sarovar is a reservoir which is 450 ft long and 60 ft deep which is surrounded by stairs from all the four sides and is wrapped by a number of Kadamba trees. The old structure was renovated by King Veer Singh at the beginning of the 17th century and was later renovated by King Suraj Mal, who gave it an artistic look. Later another king named Jawahar Singh got domes created on its west side as a memorial dedicated to his father King Suraj Mal and his three mother named Kishori, Hansiya and Lakshmi. Radha Kund is believed to be created by Radha and her friends by using bangles to dig the earth. It is located close by Shyam Kund which was created by Krishna by striking his feet upon the ground. The water in Radha Kund was filled by Radha and her friends using clay pots and was the bathing pond of Krishna. It is considered auspicious to have bath here at midnight on the eighth day of the Kartik month in the Hindu calendar (October-November).